In light of the Trayvon Martin case that has drawn national attention, the Miami Heat took the above picture as a show of solidarity . This picture however has not come without some form of backlash from those in the media. 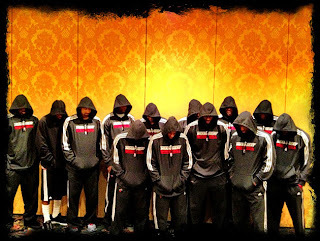 Dan Graca said on his Sirrus radio show that the Miami Heat showed their solidarity as a publicity stunt.